Is there a better combination than mint and chocolate? The two flavors just seem made for each other! 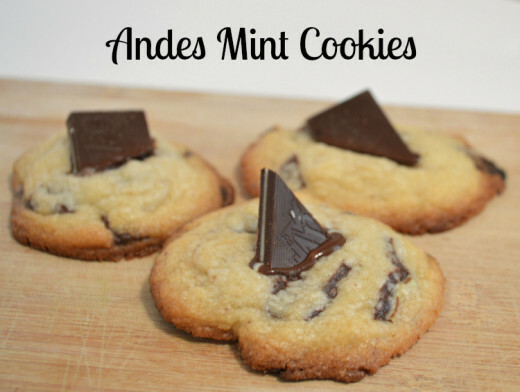 I love trying out new cookie ideas, so I decided to create an Andes mint chocolate cookie recipe. The results were so fantastic I knew I had to share! The sugar profile of these cookies is intentionally more similar to a sugar cookie than a chocolate chip cookie to allow the mint and chocolate flavors to shine though. The large quantities of brown sugar usually found in chocolate chip cookies are delicious, but I wanted the Andes candies to take center stage - literally. 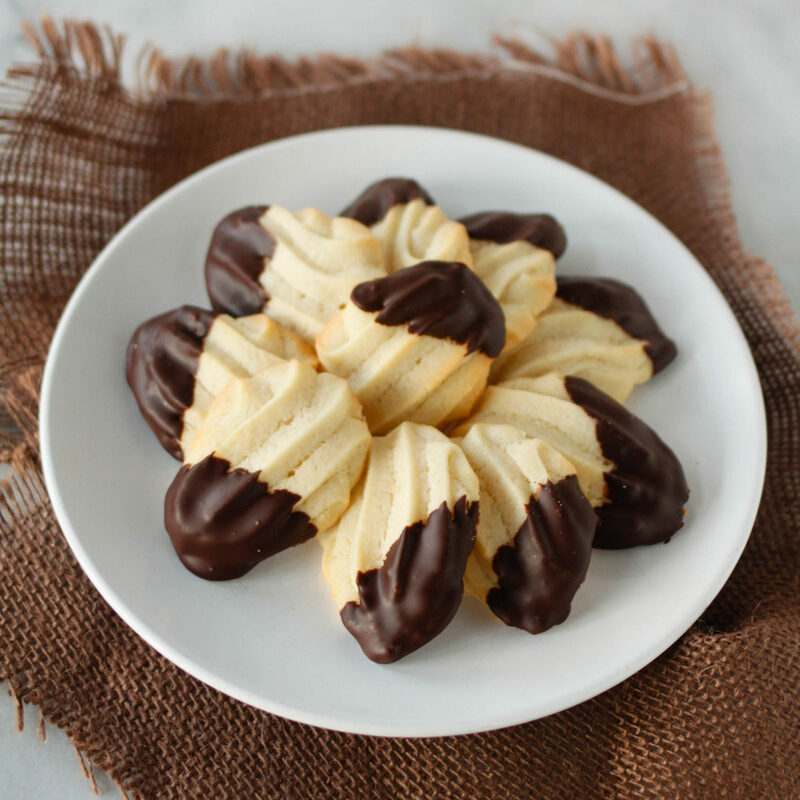 Quick, easy, and delicious, these cookies are sure to be a hit! Need More Chocolaty Mint Goodness? What better combination than peppermint and chocolate for a lush homemade minty chocolate lip balm. Full of nourishing, smoothing and softening properties for the delicate lips, this combo is a must. 1. Begin by adjust oven racks to upper- and lower-middle positions and preheat your oven to 375 degrees Fahrenheit. 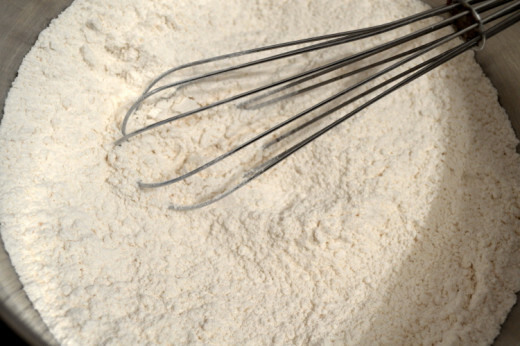 Line two large baking sheets with parchment paper and then whisk flour, baking powder, and salt in medium bowl. Set aside for later. 2. 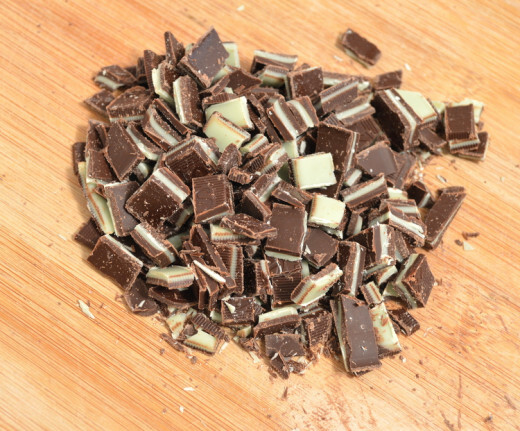 Prepare the Andes Mint candies by cutting or crushing them until you have at least 1 cup of Andes Mint pieces. You can add more, but the fairly light flavor of the cookies means that even with 1 cup, things will be minty and chocolaty! I was actually asked if I added mint extract to the cookie dough. 3. If you want, cut additional Andes Mint candies to form sails in order to decorate the cookies. It can be difficult to cut them cleanly, and the layers like to separate. 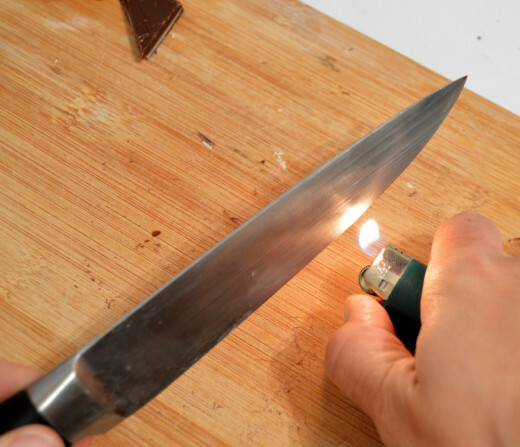 To make creating intact sails easier, use a lighter to briefly heat the blade of your knife. Then, use the hot knife to cut the candies at an angle, as shown. This will help the blade melt through the candy and will minimize cracking. You will need to reheat the blade between each cut. 4. 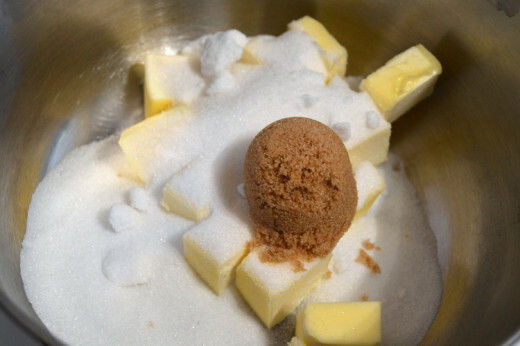 By hand or with a mixer, beat the softened butter, white sugar, and brown sugar at medium speed until light and fluffy, scraping down sides of bowl with rubber spatula as needed. 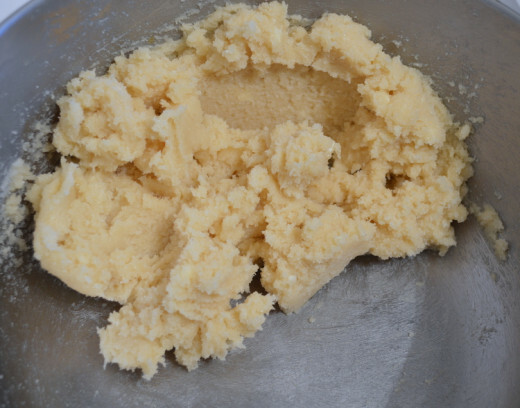 I creamed my ingredients by hand, but its way easier if you have an electric mixer! Whenever I need to scrape down the bowl's sides, I use my amazing Tovolo silicone spatula because it gets everything off! 5. 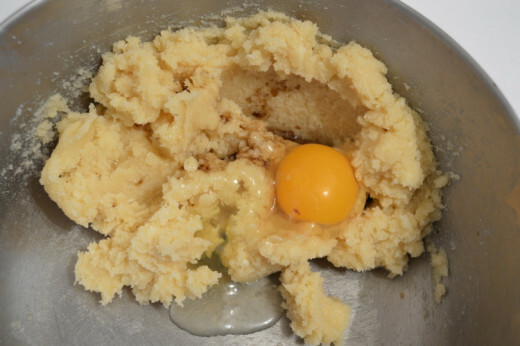 After the butter and sugars are creamed together, add the egg and vanilla. 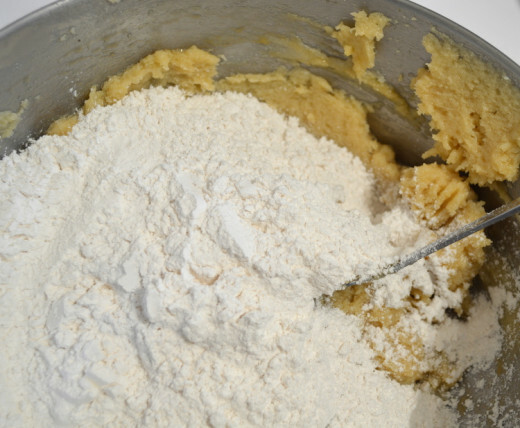 Beat them at medium speed, if you're using a mixer, or by hand until combined. 6. 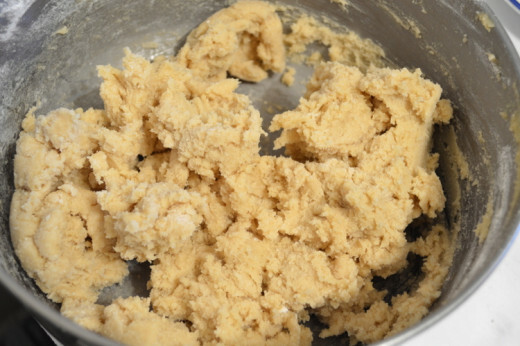 Add dry ingredients and beat at low speed until just combined, about 30 seconds, scraping down the bowl as needed. 7. 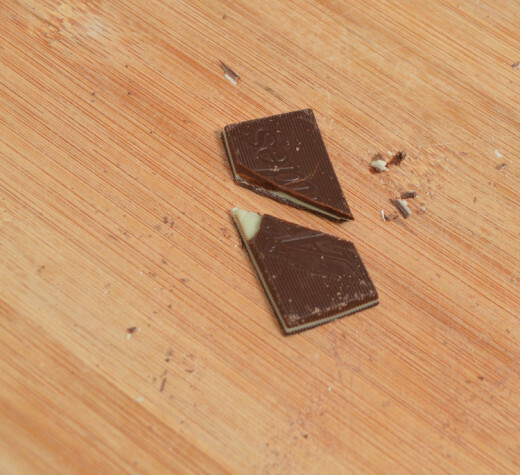 Carefully fold in the Andes Mint chunks, but not the sails. They will probably separate out some - this is okay. 8. 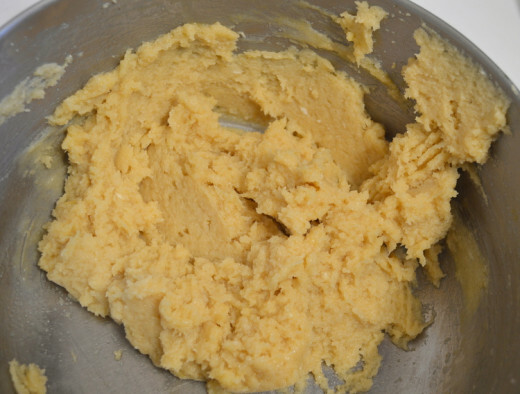 Wet your hands to prevent the dough from sticking and make 1" balls of dough. Place them on your prepared baking trays about two inches apart. 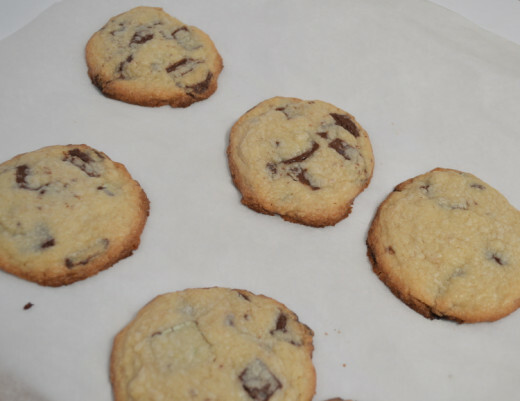 It is tempting to make bigger cookies, but they won't cook evenly if you make them any larger than about an inch and a half. They spread a lot as they bake and then thin edges will burn before the center is finished! Then, using the palm of your hand, flatten them slightly. 9. 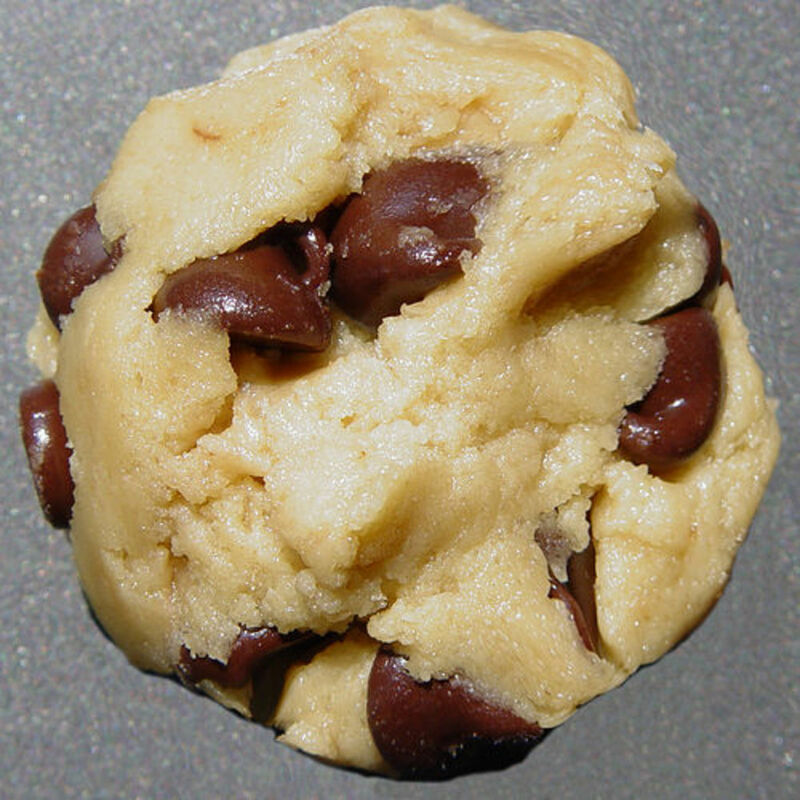 Bake cookies until the edges are golden brown and the centers are still slightly pale. This should take 12-15 minutes, but it may take slightly more or less, depending on your oven. Allow the cookies to cool for at least three minutes on the cookie sheets and then move them to a wire cooling rack, if you have one. 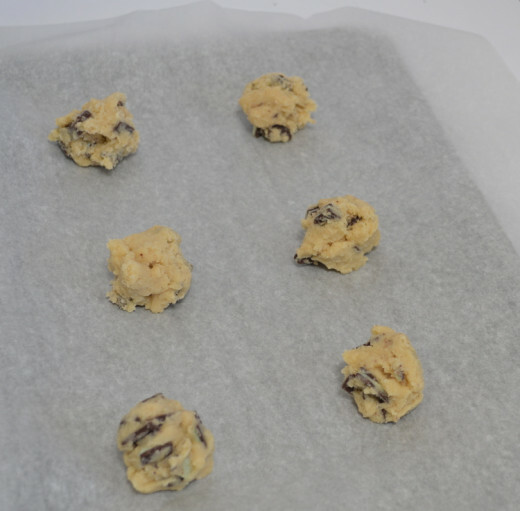 If not, simply lift the parchment paper off the cookie sheets to allow them to finish cooling while you bake more cookies! 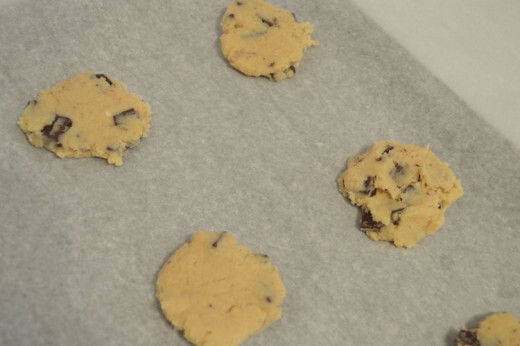 Make sure to use a fresh sheet of parchment paper for your next batch - reusing the paper will result scorch the paper, and maybe even cause it to catch fire. 9. 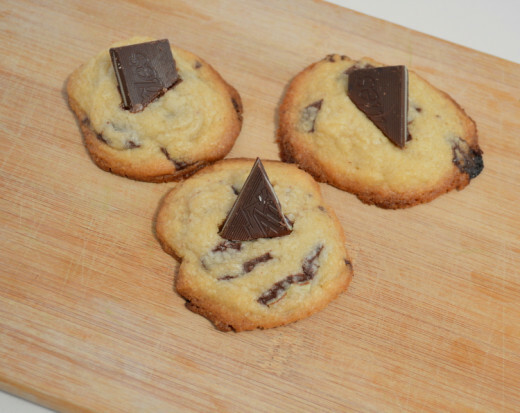 If you're adding decorative sails, wait for the cookies to cool longer than you would expect and then carefully place them in the center of the cookie. Press down slightly to let them sink into the still-soft interior. If place the sails too soon, the cookies' heat will melt them! This is still just as tasty, but not as pretty. I hope you enjoy these cookies as much as I did and, as always, please let me know if you have any questions. These look delicious. Thanks for posting! =) thanks for stopping in! That would be awesome! Thank you! I'll try to find your hub and link back to it, too. These look yummy, love how you showed each step so clearly and love to link these cookies to my minty chocolate lip balm recipe if that is okay? Cheers for a great recipe! Up, useful, interesting, shared and pinned! Thank you for the pin and share! I really appreciate it. =) I hope you get to try them soon and enjoy! These look wonderful! I love Andes mints! Great recipe with super photos. Bookmarking for later use, sharing, pinning, etc! I love the tip for heating the knife. Awesome tip and awesome recipe. I'll be making these soon. Shared. Your comment really got my morning started in a positive way! We love chocolate and mint so I'd love to try these cookies! I love the knife-heating tip for fancy cutting of mints. Your photos all turned out great and the precise instructions are very helpful. Thanks! They are delicious! I can't decide if I like them or the pretzel toffee cookies better. It's a close thing! Thanks for stopping in and I hope you get the chance to enjoy these cookies soon. They look sooo good! Great job, thanks for sharing! Thank you for voting and sharing! I really appreciate it and hope you enjoy! Hooray! I'm so glad! I put a lot of time into photographing each step and I'm thankful to know it was helpful! Thanks so much for stopping by and letting me know. After reading your recipe, I made last weekend Andes Mint Chocolate Chunk Cookies. They are so delicious!!! I don't cook very often and it was a great help to see the photographs, the consistency of the dough and the recipe step-by-step. Thanks! I try to be thorough - I'm glad my intentions worked out! You mention this to perfection step by step and it make some want to try this recipe, looks a lovely treat and so delicious with chocolate. The knife thing is kind of random, but hopefully helpful! It's a miniature making technique I applied to cooking. The cookies were delicious! Thanks for the great knife tip! The cookies look delicious. Beth100 - I really like the lighter flavored sugars for this one because it really lets the mint take center stage. It's not bad the other way, I just enjoy how some of the mint parts sort of melt and disperse through the cookie dough! My Cook Book - Thanks so much and I hope you en joy! 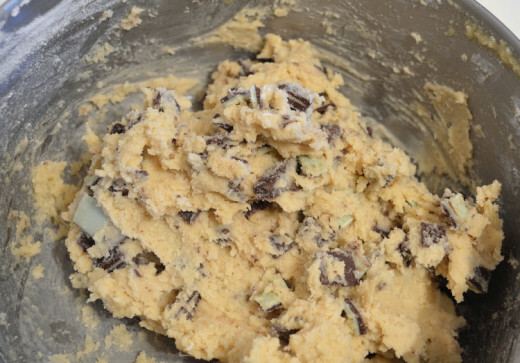 My base has always been a recipe for chocolate chip cookies, but I will be trying this with the sugar cookie base. Looks and sounds delicious! That would probably work, too, but I'd probably get board with the dipping and drying! I've used flamed knives to cut plastic figures before. Glad you liked the hub! These look sinfully good!! I usually heat my knife by dipping it in very hot water, then drying it on a towel. Never thought of using a flame! Great pictures in the instructions. Woohoo! Thanks for the pin and I hope you enjoy them as much as I did! Natasha, these cookies look so good they deserve a pin, which I've done. This is a cookie recipe I will definitely try. Thank you for sharing them! Ahaha. I dont always like all chocolate, but I do like most of it! I hope you enjoy the cookies and thanks for stopping by! They really are super delicious. Oh my goodness, you have no idea how delicious those look...or maybe you do. :) Thanks for the recipe. Chocolate is now my greatest vice and I'll happily feed it. I am so thrilled to have a venue for sharing my recipes! I can share my food with others, but it's really fun to share these things in the virtual world, too. Thanks so much for stopping by! Mmmm, those look so good! I love Andes mints, so I am positive they would taste spectacular! Thanks for sharing this with us. They are so tasty! I really wouldn't add more than a cup of candies with the sails, though, or else they might get a little overwhelming for some people. I've never had too much mint, so I'd happily add more! Masterfully done, Natasha! I'm singing "Andes Sails in the Sunset" over here...in between salivating for these cookies, that is! Thanks so much! I love them. Writing this up made me really want to bake them again! I'd better not, though - I ate about half of them by myself last time. Pretty difficult to go wrong with these cookies with super ingredients. I love the idea of putting the mints in the cookies. Great recipe....voting up and pinning.